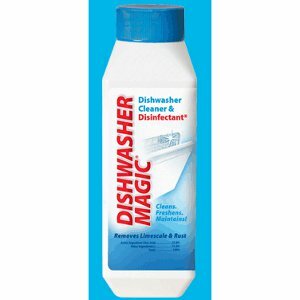 The Summit TJ104 Dishwasher Magic is a 12 ounce bottle of dishwasher cleaner and disinfectant. Summit Dishwasher Magic is the only EPA approved dishwasher cleaner and disinfectant proven to kill 99.9% of germs and gram-negative bacteria (e-coli, salmonella, etc.) in your dishwasher. This dishwasher cleaner and disinfectant also removes mineral stains, lime scale, iron/rust, calcium build-up, and food particles which can clog the water jets in your dishwasher and reduce its performance. Summit Dishwasher Magic dishwasher cleaner and disinfectant is safe for all dishwasher model interiors and plumbing/septic systems. 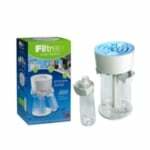 It is recommened that you use Dishwasher Magic once a month to clean and disinfect your dishwasher. The regular use of Summit Dishwasher Magic will extend the life of your dishwasher and improve its cleaning performance. Specific instructions for the use of this dishwasher cleaner and disinfectant are included on the back of the packaging.